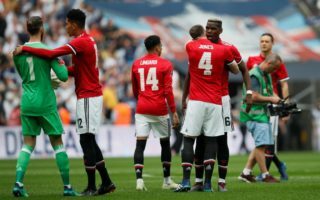 Fulham will be looking for a shock result this weekend in a bid for survival as they welcome Manchester United to Craven Cottage this weekend. After a massive win at home to Brighton a couple of weeks ago, the side looked leggy away to Crystal Palace which cost them big time as they lost 2-0 and fell eight points from safety. Wins are needed and needed fast for Ranieri’s men. Manchester United have looked some force since the appointment of Ole Gunnar Solkjaer with players such as Paul Pogba, Marcus Rashford and even Alexis Sanchez finding their feet again which has proven huge with the side still unbeaten in 10 games. The top four is now not too far away and with 14 games still to go, they’ll know they have every chance but will need to win games like these if they are going to make it happen. Fulham haven’t struggled for goals this season which is why we think they’ll score, but they have struggled to keep them out the other end and with the Manchester United stars firing, we can’t see them getting a clean sheet in this one. Crystal Palace maintained there four points gap on the relegation zone last weekend with a comfortable win over Fulham at Selhurst Park. With another home game this weekend, they’ll be thinking they can get even further away from the bottom three to give themselves some breathing space between themselves and the clubs fighting to keep out the bottom three. West Ham have been very inconsistent this season which makes it hard to know how they are going to turn up for this game. On their day they are a match for anyone in the league but when they are off there game, they tend to make it an easy afternoon for opponents. With a poor run of results coming into this one, we expect to see a better performance this weekend. Selhurst Park is a very tough place to go and with West Hams form being pretty poor of late, we think they may struggle to get a win in this one but we think they may have enough quality to get a draw. It’s hard to see Huddersfield staying in the Premier League now with the side 14 points from safety with just 14 games to go. They have been well under par for the majority of the season which has hurt the side and with a lack of activity in the transfer market, there’s no wonder why they will be playing in the Championship next season. Arsenal will take no prisoners in this one as they look to get into the top four come the end of the season to bag themselves Champions League football. The Gunners have been very hit and miss this season but even on an off day, we expect Arsenal to have enough to get all three points and do it pretty comfortably. With the quality Arsenal have and the form Huddersfield are in, it would be a huge shock if this one ended anything but an Arsenal win. Liverpool are still at the top of the Premier League and will be feeling confident they can hold onto there lead with just 14 matches to go. 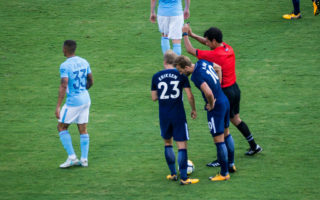 However, as the Premier League keeps proving no match is easy and another slip up like the draws to Leicester and West Ham of late could continue to open the door for the waiting Manchester City. They will not want anything short of a win from this one and in reality, they should be getting all three points. After a 2-0 win over West Ham and an astonishing 4-0 victory over Chelsea, Bournemouth crashed to a 2-0 defeat away to Cardiff which has made it difficult to say what kind of form they are in. It was good but that performance in Wales was pretty poor and one they’ll want to put behind them. However, another one like they did at home to Chelsea and they are capable of causing an upset this weekend. Liverpool will be getting very serious at this stage and although performances have looked as if they have dropped in recent weeks, they have still been picking up points which is important. Bournemouth will be going there to try and spoil the party. Southampton will come into this game absolutely devastated to have not bagged all three points last time out as they conceded a 95th-minute penalty to draw 1-1 away to Burnley. This has meant they are now just two points from the bottom three and with 14 games still to go, they will know they have to get points on the board and this is a very good chance to do just that. Cardiff are that side who make up the last stop in the bottom three and will be looking to leapfrog their opponents in this one this weekend. They put on a great display last time out as they went on to beat Bournemouth 2-0 at home with the fans signing the name of the missing Sala throughout. It was a great touch and they’ll want to follow on from that this weekend to get out of trouble. A lot of nerves will be going in this one as its a massive game for both sides. A defeat and either side will be falling back towards the bottom, but a win will give the winning team a boost plus get them out/move them away from the bottom three. However, we think The Saints could win this one being the home side. Watford have impressed from the get-go this season and are fighting it out with Wolves as it stands to get that top four spot come to the end of the season. The draw to Brighton last time out would have been a frustrating one and meant they slipped four points adrift of Wolves in that challenge. However, they will see this as a good chance to bounce back and keep the pressure on the side above them. Everton have probably been one of the most disappointing and inconsistent sides in the Premier League this season. The side have lost three in there last five matches which has left them in a poor position considering many expected them to challenge for the top six. They still have a chance of getting into the top seven come to the end of the season but must start to put a consistent run of results and performances together. With Watford being in the better form and being the home team we can see them edging this encounter. The 3-1 defeat at home to Wolves last time out showed how poor Everton can be on an off day and if Watford are lucky, they could to have a comfortable afternoon. Brighton would have had mixed feelings after there draw with Watford last time out. With the poor run they have been on, they would be happy to get a point but if you look at the chances they had in the game, they’ll feel they had enough to bag all three points. This is another good chance for them to get three points and one they will want to take to reduce the risk of slipping into a relegation scrap. Burnley would have been buzzing to get a last gasp point at home to Southampton on the weekend but may have felt hard done by with the referee making some questionable decisions throughout the game. They too will see this as a huge game and one which they can go level on points with Brighton if they get the win. It’s hard to call this one and for that reason, we’re going for a score draw. Both teams have had their ups and downs throughout the campaign which makes it tough to know how each of the sides will shape up and perform. Tottenham will be very thankful they have Son back from international duty as the North Korean has scored two winners in two matches which could be crucial for Spurs come to the end of the season. The absence of Kane and Alli has taken a hit on the side but with the duo looking as if they are close to returns and Son firing, Spurs will still fancy the win in this one. Leicester have performed better against the bigger sides this season with wins over Manchester City, Chelsea, Arsenal and a draw away to Liverpool in the last few months. It’s against the sides lower in the table which the problems have laid for the Foxes but another positive performance this weekend and they could really make this Tottenham side sweat without there big names available for selection. Tottenham will not want to make any mistakes in this one and although Leicester have done well against the big sides, we think they may come up short in this one. Manchester City will still know they have every chance of winning the Premier League this season if they keep getting wins on the board. 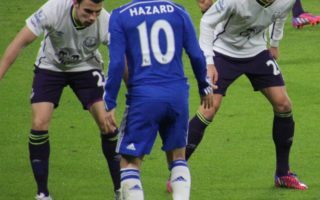 However, this is a very tough test for them and one they failed earlier on in the season losing 2-0 to Chelsea at Stamford Bridge. It hasn’t been the season many expected from Manchester City but they still have a lot to play for at this stage of the season. Chelsea to have a lot to play for with the side only just keeping themselves in the top four at this stage. 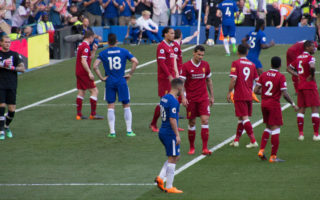 It looked like a three-legged race between Liverpool, City and Chelsea at the beginning of the season but Spurs have taken that role of Chelsea with the Blues now fighting hard to get Champions League football next season. The signing of Gonzalo Higuain has definitely been a needed boost for the club. Manchester City will know if they are to keep up with Liverpool and eventually beat them to the title, they must win every game remaining and that means the big ones like these. Wolves have climbed four points above Watford in the fight for 7th place which could be enough for European football next season. This would have given everyone at the club a huge lift and they’ll know with Everton and Watford playing each other, they have a great chance to increase that lead with just 13 games to go after this game week. Newcastle have had an inspired last couple of games with a win over reigning champions Manchester City before a close defeat to Tottenham away from home where they would have felt hard done by but can take a lot of confidence from. Rafa Benitez seems happier in his role after a couple of new signings in the last week which could give them a big boost going forward. Although Newcastle have been a lot better of late, Wolves has been a very tough place to go all season and they have been playing at a very high level very regularly which makes it hard for any side.